So you want to put a wind turbine on your roof, but you don’t want to leap into things without knowing whether the wind you’ve got will make the thing work. 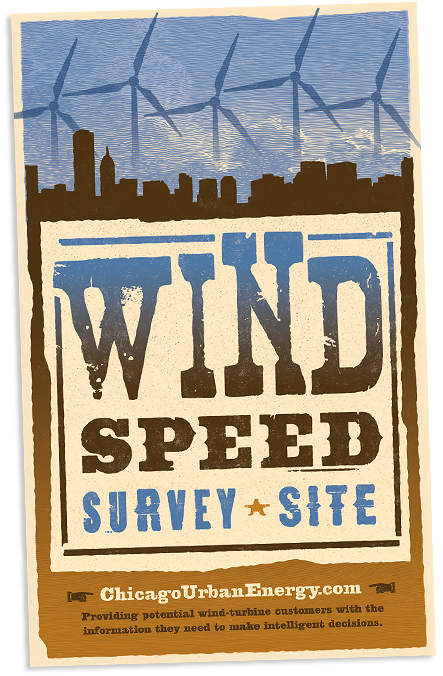 That’s where Robert Peplin and Chicago Urban Energy come in — to measure the windspeed and help pick the turbine that’s right for you. 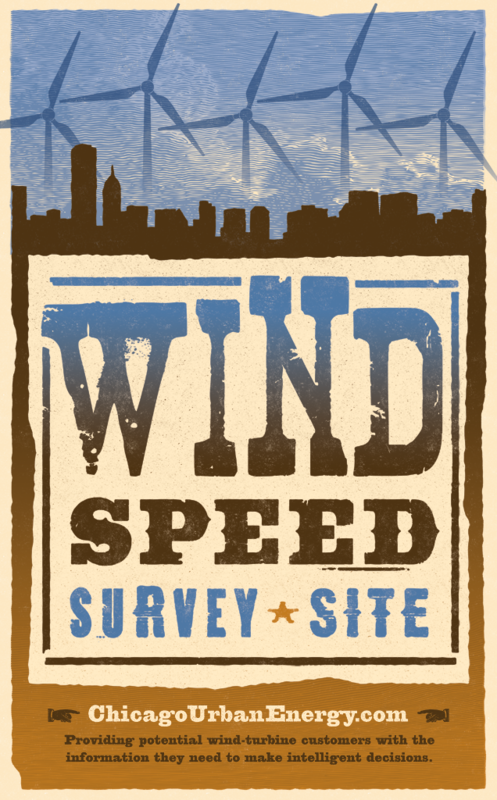 One of their clients suggested that hanging a poster in the windows of various testing sites might be a really useful way to spread the word. I would LOVE to work on this for you, Robert. Not only do I have some space in my schedule, but you said the magic word: HATCH. Yes, Hatch. As in “Hatch Show Print” of Nashville Tennessee, a classic of American vernacular folk printing. You know them even if you don’t know them. And I LOVE that style, so even if Chicago Urban Energy wasn’t the kind of green, good-for-the-world, heart-of-gold company that I love to support, I would have jumped at the chance to create this kind of visual homage. Wood cut typefaces. Letter-press textures. Carefully (if digitally) hand-created ragged edges and organic forms. A sense of style and a sense of place. So beautiful, and SO MUCH FUN.